This past week I visited Savannah and spent some time soaking up the beauty and history of that intriguing community. For a history buff like me, the place is a dream come true. If you squint while walking along the riverfront you can almost see the old ghosts popping in and out of the historic buildings. One of my favorite structures is the ancient Savannah Cotton Exchange. With its imposing size, striking red brick and deeply carved edifice, it must have been a wonder when it was built back in 1887. Locally it was informally called “King Cotton Palace”, a nod to its standout architecture and, perhaps, the cash it brought into the city. Savannah at the time exported the second greatest quantity of cotton in the entire world. 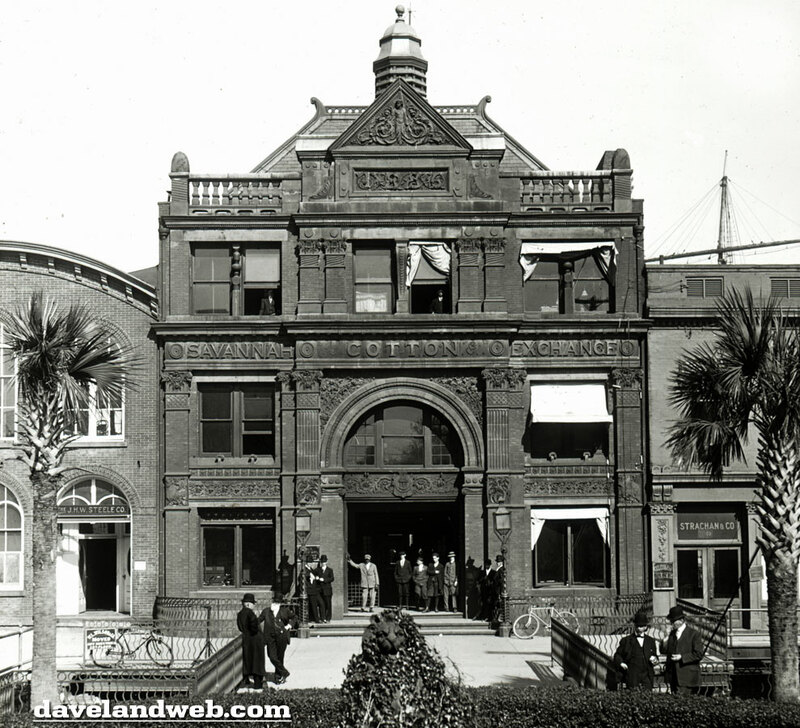 Here’s a 1912 view of the building. Following that I’d like to add a bit about Shoeless Joe Jackson and his time in Savannah. Along with General James Oglethorpe (founder, 1733), the Yellow Fever outbreak of 1820 (killed a tenth of the city’s population) and the irascible General William Tecumseh Sherman, Shoeless Joe Jackson was on my mind as I wandered Savannah’s broiling streets. It was here in the spring of 1909 that Jackson arrived as a twenty-one year old, hoping to gain the experience that would attract him back to the big leagues. The previous year, 1908, Jackson had done so well with the D-level Greenville Spinners (hitting for a .346 average over 87 games) that manager Connie Mack had jumped him all the way up to his hapless Philadelphia Athletics team for a close up view. The A’s, who had a team batting average of only .223 that season, desperately needed hitting. However, Jackson had disappointed, batting a paltry .130. Happily, Jackson prospered in Savannah. Not only did he lead the Sally League in hitting (.358), gain another shot with Philadelphia (alas, another bust) but he met and soon married one of the city’s maidens, the former Katie Wynn. They would be inseparable until Joe’s death in 1951. Soon Joe, with help from the Wynn family, opened a successful dry cleaners at 119 Drayton Street. I am unclear if that building still stands; I think it is now a parking lot. The Jackson’s lived happily in Savannah until 1929, when they moved back to Greenville in order to take care of Joe’s ailing mother. They did, however, visit frequently over the years. Just a few corrections from your blog. Joe and Katie Jackson actually lived in Savannah prior to 1920, having first bought a place in 1916. They pretty much spent their winters in Savannah when Joe was playing for the White Sox, so they already lived in Savannah before the early 1920’s. Just to clarify, the former location of Joe’s dry cleaning establishment is now a parking lot. The final point, Joe and Katie didn’t move from Savannah in 1929….they moved in the summer of 1932 after having sold their dry cleaning business. 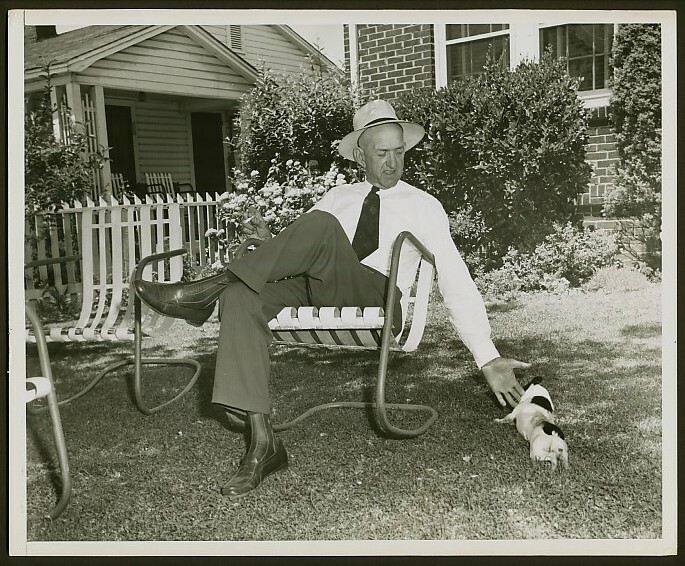 They moved back to Greenville in 1932 to care for Joe’s ailing mother Martha….who passed away in August of that year. Mike, thank you so much for the corrections and additional information! Wonderful.